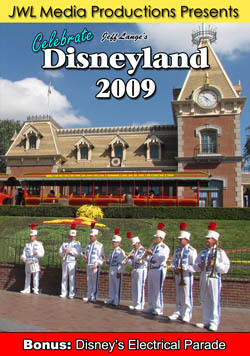 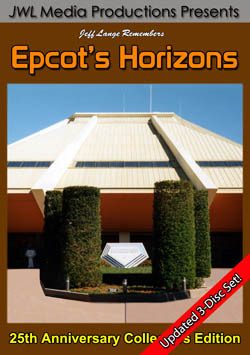 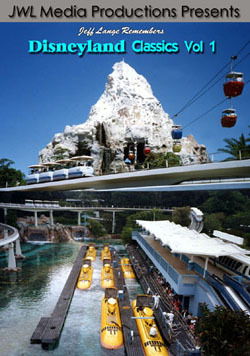 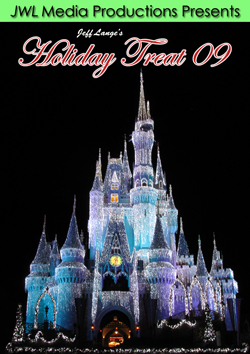 Both the Magic Kingdom and Epcot are in the midst of changes. 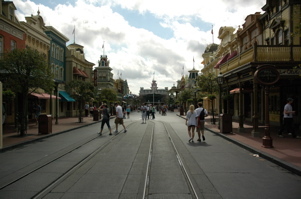 Last week was very busy, this week has been lighter in crowds (below, left). 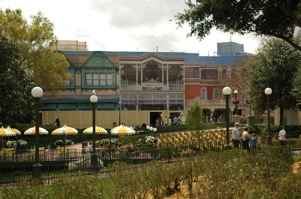 The Plaza Restaurant has a full facade that looks great from a distance (below, right). 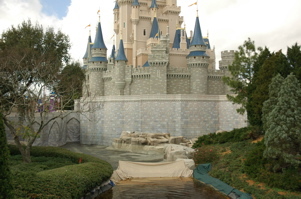 The castle work is ongoing (below, left) and the Fantasyland wall is keeping anyone from viewing the bulk of the new construction (below, right). 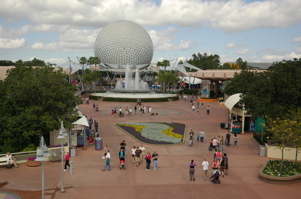 From the monorail to Epcot, Spaceship Earth is visible with flowers in the foreground (below, left). 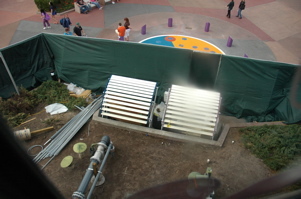 The fountains near Test Track are still behind a wall (below, right). 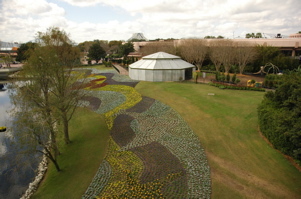 The Butterfly Tent is seen from above (below, left) and the Mickey head in the flower quilt near the Imagination pavilion is filling in (below, right). 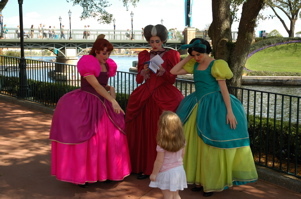 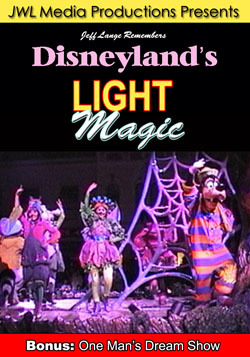 Lady Tremaine signs an autograph book at the International Gateway (below, left). 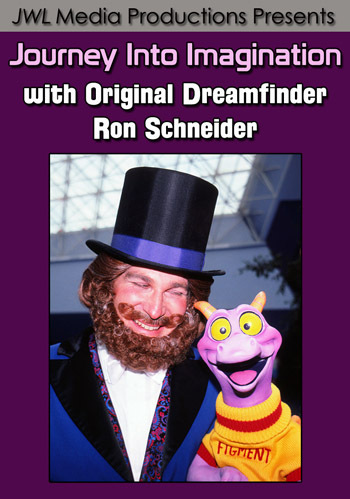 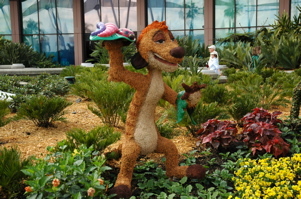 I’ve never seen so many unusual characters at Epcot! 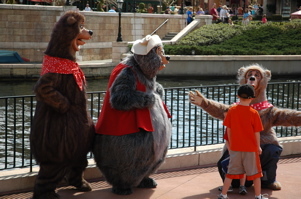 The Country Bears greet guests nearby (below, right). 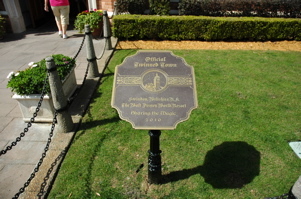 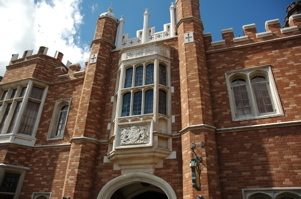 Swindon is now a twinned town with the United Kingdom pavilion, and a plaque commemorates the dedication from last week (below left and right). 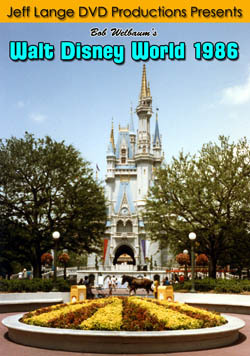 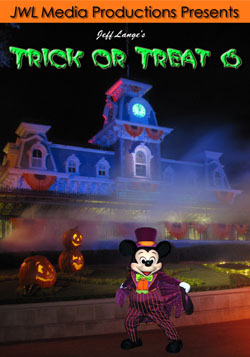 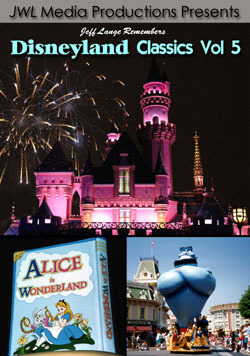 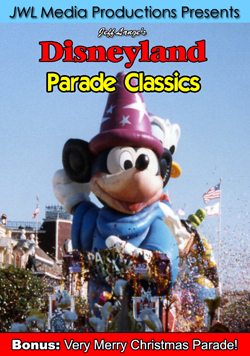 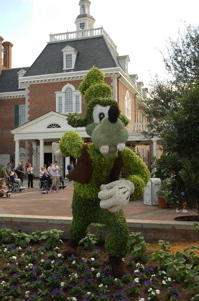 Goofy and Donald topiaries sit in front of the American Adventure (below left and right). 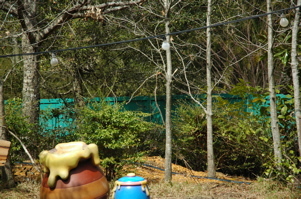 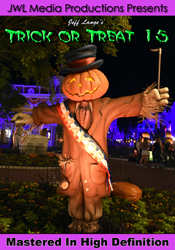 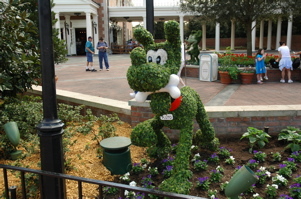 These characters were part of the topiary and playground area near the Imagination pavilion last year. 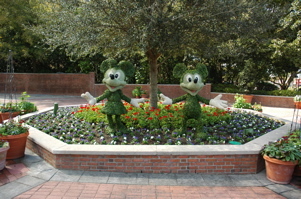 Pluto, Mickey and Minnie also are part of the America pavilion topiary display (below left and right). 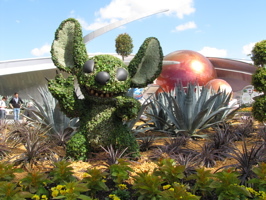 Stitch is now located in front of Mission Space (below, left). 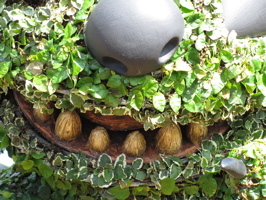 You can get a closer look at his teeth (below, right). 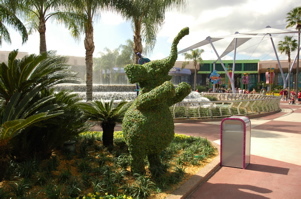 An elephant topiary is now near the Fountain (below, left) and the Timon topiary is now fully completed (below, right). 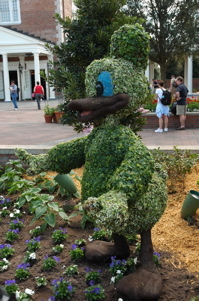 Previously, he was missing the leaf over the arm as well as the bugs in his hand. 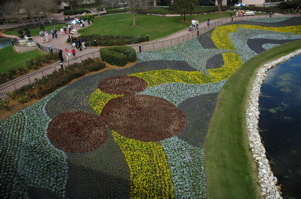 Video #1 – Epcot International Flower and Festival Flower Quilt – This is from the side near the Imagination pavilion recorded February 23, 2010 – the Festival officially starts on March 3rd. 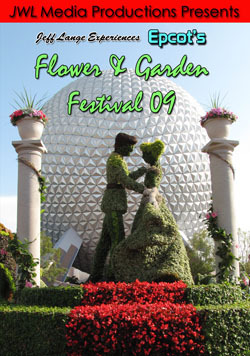 Video #2 – Epcot International Flower and Garden Festival Flower Quilt – This is from the side near the Butterfly Tent recorded February 23rd, 2010.